when can I have another? Impression: Deep dark ruby brown. Rich. tastes of chocolate, coffee, and smoke in a slightly thin base, but not badly so. Visually stunning. Head starts off tannish brown and thick, but reduces to a wispy foam with little head on a sometimes brown, sometimes deep ruby body. Palate is slightly thin, but likely in keeping with the style. I’m not that familiar with Scotch Ale. A very nice color and aroma, and the alcohol is hidden well. 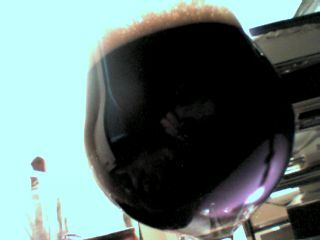 Not nearly as rich as a chocolate or coffee stout, but certainly a drinkable, worthy ale. 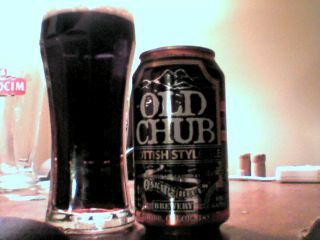 Overall: 15 out of 20 I liked the dark rich color, the chocolate aroma, and the relatively reasonable price per can for an Oskar Blues beer. Dale’s Pale Ale can go for upwards of 4.50 per can.